As the brewery has grown, head brewer Costa Nikias has dedicated time to developing a handful of beers of a more easy-drinking nature than those with which La Sirène made its name. 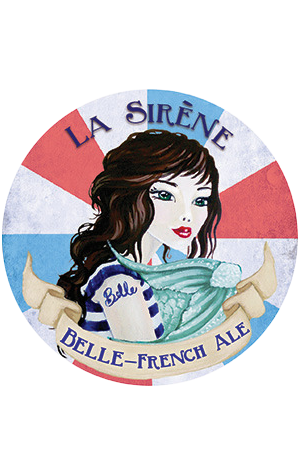 Among them are the draught-only Belle, described as a "French table ale". The beer uses the brewery's in-house yeast alongside pale malts to create a beer they say offers "subtle fruit characters [that] initially lead into a medium body with rich yeast characters to conclude with a beautifully crisp dry finish". They reckon it's a great food beer with suggested matches as broad-ranging as seafood, white meats and Mexican cuisine, to cheese and charcuterie.